Located in Central Park. directly behind Central Library, at Goldenwest Street and Talbert Avenue. The Bandstand is located north of the Central Library and west of the Amphitheater in Huntington Central Park. It is a cement stage approximately 45' x 82'. 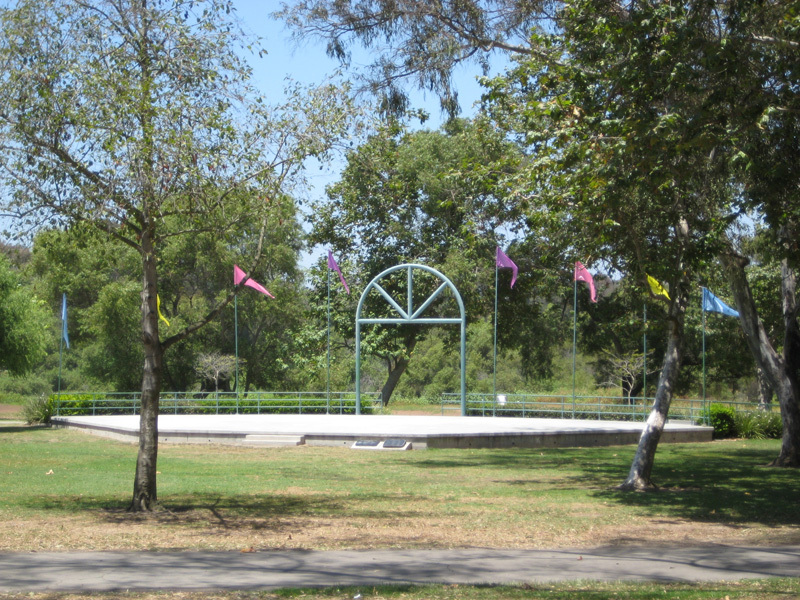 This bandstand was donated to the City by Friends and Neighbors of Seacliff. 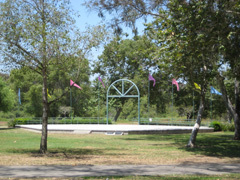 At the June 5, 2017 City Council meeting, the City Council approved the naming of the Huntington Central Park Bandstand in honor of long-time Music Director, Thomas Ridley, of the Huntington Beach Concert Band (HBCB). Mr. Ridley has been the music director of the HBCB since 1977. Mr. Ridley has been a major part of the success of the HBCB and the Summer Concert Series in Huntington Central Park. Under his leadership, HBCB and the Concert Series have continued to flourish–even through difficult economic challenges. The Summer Concert Series was discontinued in the early 2000’s due to budget constraints but, due to Mr. Ridley’s commitment the program was reinstated and has continued to be a highly attended and respected community event. In addition to being the HBCB music director, Mr. Ridley also served and performed in the 72nd US Army Band. He was the band director at Miraleste High School in Palos Verdes and at Canyon High School in Anaheim Hills. He received a BA and MA in music from California State University, Long Beach and has served as Vice Principal of Norte Vista High School in Riverside. This amenity is used for Specific Events and City sponsored activities only. No services, ceremonies, receptions, parties, or other social gatherings are permitted. Learn "hands on" about the HBPD by participating in the Citizens Academy. Each session is 11 weeks long and is offered twice a year. Learn about Patrol, Traffic, Vice, SWAT, K-9, Aero and more! Apply here.